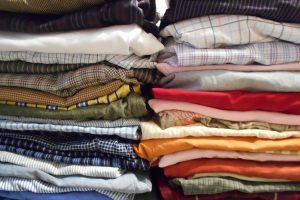 CLOTHING DONATIONS – Bridges Outreach, Inc. Founded in 1988, Bridges reaches out to the homeless in New York City, Newark, Irvington, and Summit, New Jersey every week. Over 2,000 volunteers each year help deliver 65,000 meals, seasonal clothing, and necessities without question and with genuine respect. We welcome donations of new or gently used clothing. Our greatest need is always for men’s casual clothing. LARGE sizes are always in great need. All other clothing items can be gently used. Gently used means no holes, rips, frays, or stains. We are not in need of Blankets or Children’s items at this time. Our doors are open for donations on Tuesdays and Fridays, from 9:00 to 3:30. Founded in 1988, Bridges reaches out to the homeless in New York City, Newark, Irvington, and Summit, New Jersey every week. Donate Today! Tuesdays, 9:00 a.m. to 3:30 p.m.
Fridays, 9.00 a.m. to 3:30 p.m.
© Bridges Outreach, Inc. 2018 All rights reserved.